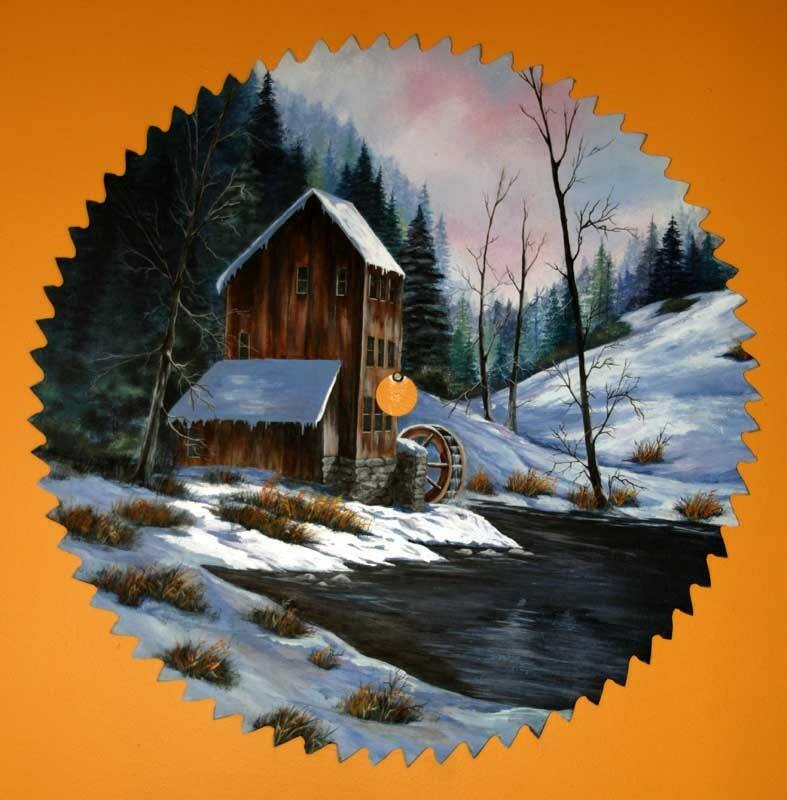 This is one of a kind Hand painted 24" Antique Sawblade with wonderful winter landscape. Old saw mill painted by a calm winter pond. I do have other Very large up to 28" raw blades not yet preped for painting, but I would be happy to paint to order your very own custom saw blade or cutting saw.